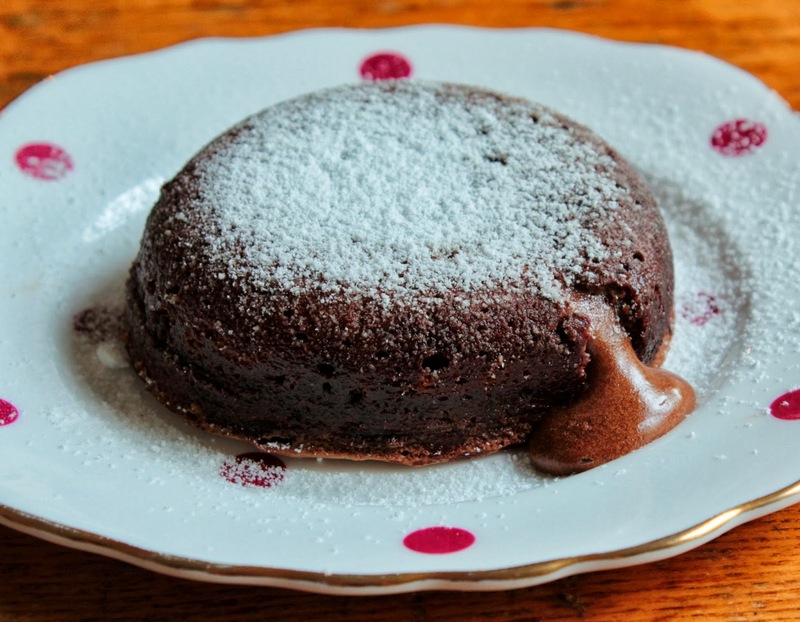 DOMESTIC GODDESSES: Chocolate fondant - and how to get it right! 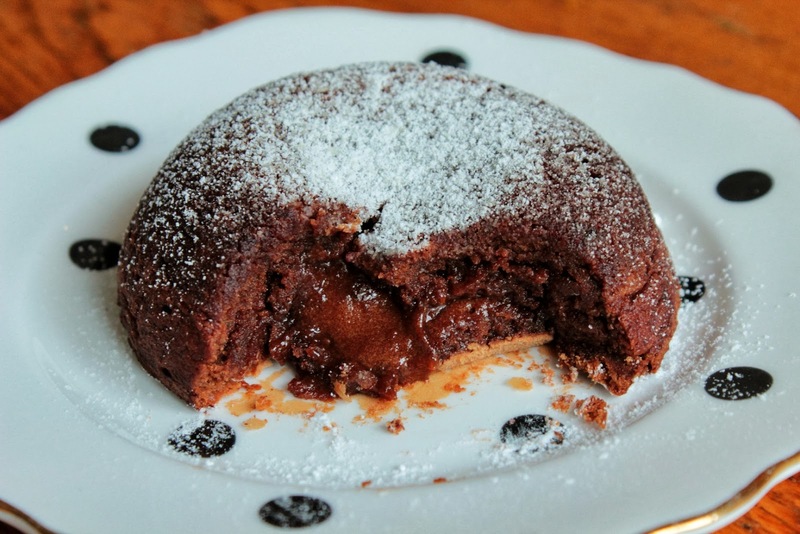 Chocolate fondant - and how to get it right! Perfecting the chocolate fondant to serve effortlessly at dinner parties is far easier than you might imagine and likely to impress the most hardened food snobs. The recipe and method is pretty straight forward. But getting it perfect every time is all about planning and timing. 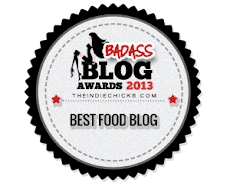 So I am going to babble on a bit about all the variables and how to overcome unforeseen obstacles. The below is for unsure or nervous bakers. It really will help you to make these with confidence. Firstly you need to select the right molds. These molds need to be freezer and oven proof, they need to be able to hold not much more than 200 ml per mold. I prefer them to be rounded as the fondants slip out the molds better but straight sided ramekins also work well. Before serving this dessert to guests you need to do a test run. Make it for a family dinner or for people you don't mind not getting it perfect for. The reason is that the timing of the baking is key to the success of the desert and so many things can effect the baking time. You need them to be cooked but just a little runny in the middle. The margin for error is huge here. The shape, size and material of your molds will effect this. The cooking temperate of each oven varies 10 or 15 degrees up or down, so you need see how your oven reacts and do your timing accordingly. The temperate of your batter when you put it in the oven will also effect the baking time. If you are baking them right away, leaving them in the fridge until after dinner and then bake them or make them a few days before and freeze them (unbaked), they all will need different baking times. So when you do your trial bake, you needn't use the super expensive chocolate, an entry level milk or dark chocolate is fine, if economy is important for you. Make sure you have a scale which is correct - you can check it buy weighing things in your cupboard which have the weights written on them. 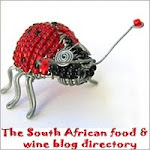 Make sure you have correct cup and spoon measures using the South African standard. A cup is 250 ml and teaspoon is 5 ml. The american measures are slightly different. Make sure your eggs are the size specified on the recipe and are at room temperature. Measure all your ingredients exactly and follow the method exactly. Of the 6 molds, once they are filled with the uncooked batter, place 2 in the freezer, so you can bake them from frozen to see how long that will take to bake. Of the 4 remaining molds, bake them in a fully pre heated oven. The little light will have switched off once the oven reaches the temperature set on the dial. Use the top and bottom heat setting, do not use the fan. Use a timer when timing your baking. Bake them for 12 minutes, then check them, if they are wobbly, keep on baking. The tops need to have just gone crusty; when pressed it needs to have give but not break through to the runny batter. Keep adding 2 mins to the baking time and keep track of this so you remember how much time you have added. If you are unsure and want to check one. Take it out with a thick dry cloth. with the tips of your fingers (if you can manage that) or a butter knife, wiggle the cake a little to loosen it from the sides. Place a side plate over the top of the mold and flip the plate and mold, upending the cake. Tap it or shake it a little if it doesn't slip out. If it already cracks open and batter starts running out, it needs to bake more. You can simply slip it bake in the mold and carry of baking, it won't look great but will still taste amazing. The cakes are perfect once about 50% of the batter is cooked and 50% is runny. You will let the cakes stand for about 5 mins at least before serving so they will carry on setting a little more. While the cakes are resting out the oven, it leaves time for you to prep the side plates, berries, ice cream or what ever sides you plan to serve with the fondants. Once the fondants are un-molded a dusting of icing sugar through a sieve on top looks great. Whatever your perfect baking time ended up being, you should add about 5 minutes onto the frozen fondants baking time. But don't guess, check it, timing everything exactly. Bake them straight out the freezer, no need to defrost them. I like baking them from frozen as you can make them way in advance (like up to 2 months) leaving you free for other things on the day you are entertaining. All you need to do is pop the oven on to pre heat when you sit down for mains. Once mains are cleared you pop the desserts in the oven and while they bake you can get the plates and sides ready and serve your guests a restaurant quality dessert. I like to have a few extra just in case one or two are not prefect. Now this seems like an awful lot of preparation, ifs and buts - it really isn't as complicated as it seems, I just wanted to give you as much info as possible to ensure that they would end up perfect! Heat the oven to 200°C and place the rack in the middle of the oven. Brush the ramekins sparingly with melted butter and place them in the freezer to harden, brush them again and let that harden again too. Melt the butter and chocolate on low heat a saucepan. Remove from the heat and stir, then set aside to cool a little. In a large mixing bowl whisk the eggs, sugar and vanilla until pale and frothy. Add the chocolate mixture to the egg mixture, little by little, beating in between. Fold in the sifted flour. Dust the cold ramekins with coco powder. Place them on a baking tray and divide the mixture between the molds – each one ¾ full. Place on a baking sheet and bake for 12 - 15 minutes, until the tops have set. Remove from the oven and allow them to stand for a further 2 – 3 minutes. Get your plates and sides ready. Invert and tip out onto serving plates. Serve immediately with vanilla ice cream and fresh seasonal berries.